This gold link bracelet is an exquisite piece that stars a replica French coin from the 19th century. You can dress this bracelet up or down, depending on the occasion. Wear it with a sleek dress for a special occasion, or with your jeans and a denim shirt for a lunch date. 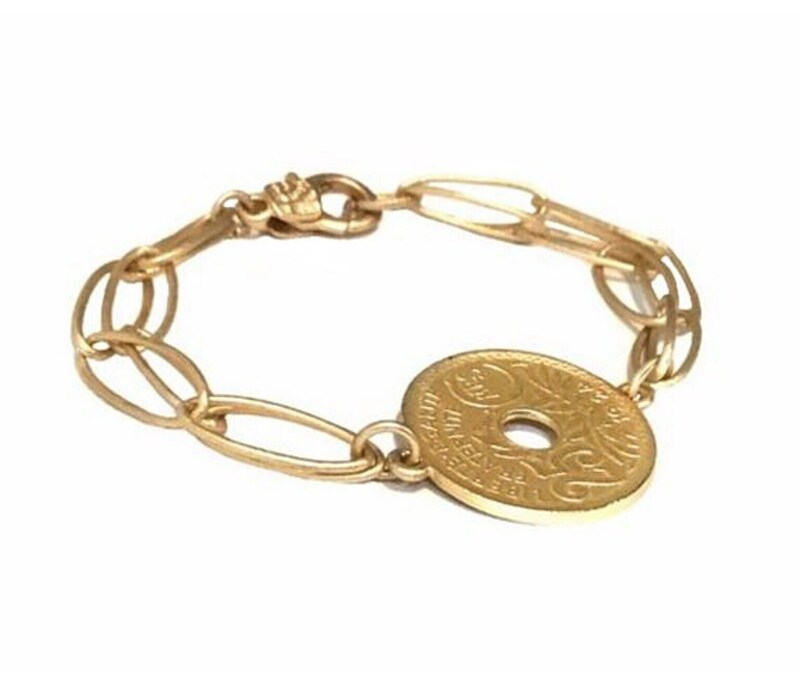 Timeless and perfect for ladies of any age, this coin bracelet will be well loved and worn often!